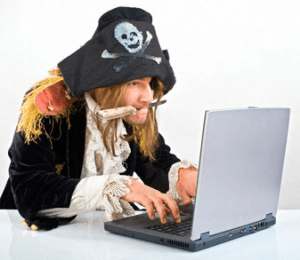 Internet service providers are set to launch a new anti-piracy scheme this summer designed to alert and eventually punish suspected copyright infringers. The new policy was unveiled last year when top ISPs including Cablevision, Comcast, Time Warner Cable and Verizon announced their participation in a "graduated response" program to deal with illegal file sharing, bowing to pressure from the RIAA and MPAA with help from the U.S. government. In a panel discussion in front of some of the biggest U.S. publishers yesterday, the head of the RIAA Cary Sherman announced that the policies will come into effect July 12th. Under the program ISPs will be required to monitor their users' online activities for illegal file sharing. Those caught downloading copyrighted materials would receive a series of escalating warnings, starting with one or two "educational notices" informing users that what they're doing is illegal and asking them to stop. If these warnings are ignored a new tier of notices kicks in where the customer is required to acknowledge receipt of the warnings and sign a "pledge" to stop pirating. Finally, those who are caught yet again can expect to receive an alert informing them that a "Mitigation Measure" has been applied to their account. The program is reminescent of France's three-strike system, although it's not quite as harsh. France's HADOPI law requires ISPs to give alleged infringers two warnings before being disconnected and/or fined. In contrast, U.S. ISPs will issue more warnings before implementing a mitigation measure, which only includes things like throttling of upload or download speeds, or altering your landing page to "remind you" not to pirate. There's no uniform system for ISPs to use in order to catch downloaders. Instead, each of them will have to develop their own and establish a database to keep track of repeat infringers. The number of warnings at each level is also up to the ISPs, as is the specific nature of the so-called mitigation measure. So far no participating ISP has agreed to cut off a customer’s internet service permanently. Although the measure feels less draconian than initiatives like PIPA/SOPA, it's hardly an ideal solution considering it relies on IP addresses as proof of guilt and the fact that the courts aren't even involved.